ONE OWNER! RBM OF ATLANTA PEDIGREE VEHICLE, SOLD AND SERVICED HERE. WHEELS: 19 5 TRIPLE SPOKE (STD), WHEEL LOCKS, SIDE SKIRTS PAINTED, SAHARA BEIGE/MOCHA, MB-TEX UPHOLSTERY, HEATED FRONT SEATS, BURL WALNUT WOOD TRIM, BLACK, BECKER MAP PILOT® PRE-WIRING, Window Grid Antenna, Wheels: 19 5 Triple Spoke. This Mercedes-Benz GLK-Class has a powerful Premium Unleaded V-6 3.5 L/213 engine powering this Automatic transmission. *Experience a Fully-Loaded Mercedes-Benz GLK-Class GLK 350 *Variable Intermittent Wipers w/Heated Jets And Reservoir, Valet Function, Trip computer, Transmission: 7-Speed Driver Adaptive Automatic -inc: touch shift, Eco and Sport shift program, Transmission w/Driver Selectable Mode and TouchShift Sequential Shift Control w/Steering Wheel Controls, Tracker System, Tires: 235/50 R19 AS, Tire Specific Low Tire Pressure Warning, Tailgate/Rear Door Lock Included w/Power Door Locks, Systems Monitor, Strut Front Suspension w/Coil Springs, Steel Spare Wheel, Spare Tire Mobility Kit, Side Impact Beams, Send2Benz Selective Service Internet Access, Seats w/Leatherette Back Material, Roof Rack Rails Only, Roll-Up Cargo Cover, Remote Releases -Inc: Power Cargo Access, Remote Keyless Entry w/Integrated Key Transmitter, Illuminated Entry and Panic Button. 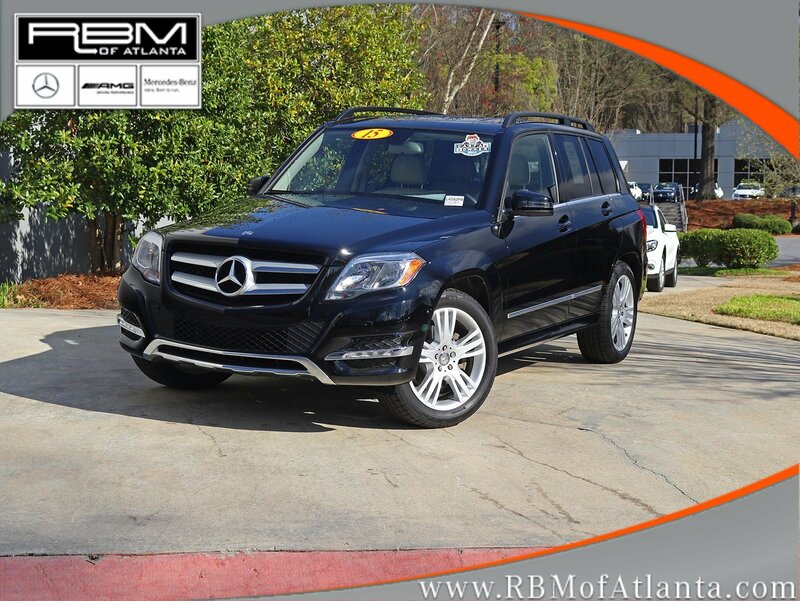 *Stop By Today *Stop by RBM of Atlanta located at 7640 Roswell Road, Atlanta, GA 30350 for a quick visit and a great vehicle!